Continuity, Siri, a new name. That is essentially everything new about the latest edition of Apple’s desktop OS. Apple’s WWDC 2016 conference took place last night, where Apple introduced a host of new optimisations and features for macOS, of which the highlight has to be the change of name from OS X to macOS. 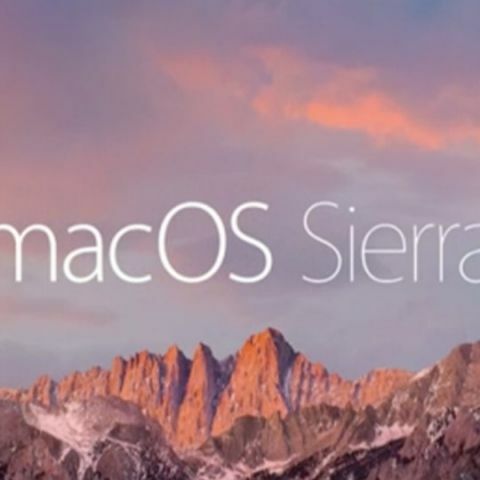 Officially named macOS Sierra, the name of the 16-year-old operating system is being changed to align all Apple operating systems and give them a more unified naming scheme with iOS 10 and other operating systems. Sure, it does not add much functionality to your life with a Macintosh, but Apple wanted to get the big announcement out of the way, before making announcements that do make a difference. Keeping in flow with the naming of the operating system, Apple wants its devices to work in tandem with each other, and on that note, is facilitating better inter-device communication. The continuity of features initiate with unlocking a macOS device with an iPhone or Apple Watch. You can now authenticate your iPhone or Apple Watch with your MacBook or iMac, and bid goodbye to long, complicated passwords. This is expected to save time and energy spent behind keying in the right combination of letters and numbers, and give easier ways to log in to a macOS device. Another problem that Apple aims to solve is inter-device information transfer. For instance, if you made instant notes from a conference call and wish to transfer it to your mobile device instantly, you can now choose to copy and paste text, videos, photos and links to another Apple device, thanks to the Universal Keyboard. Previously, the only way of doing so was emails, and the Universal Keyboard is now here to facilitate Continuity and make usage more seamless. You also get remote access to your Mac from other registered Macs, and even your iPhones and Apple Watch. Stitching together essential, shared features is a part of Continuity that should grow further in future, beyond macOS. Apple’s arguably popular voice assistant, Siri, has finally waded its way to macOS. Introduced in iPhone 4s with iOS 5, Siri has been integrated into watchOS and tvOS too, since inception. Naturally, it was time that Siri was integrated into macOS. Available quickly with one tap on a button to the top-right or on the dock, Siri introduced herself at WWDC 2016 to a hall full of technology journalists who politely acknowledged her presence with petite applause and a hearty, eyebrow-raised laughter when Siri said, “Not complaining about the lack of Windows here”. Apple has aimed directly at Microsoft and Cortana this time, introducing specific time-based and keyword-based searches, with keyword tags. You can also ask Siri to play music from your local music or iTunes collection, pin searches and queries to the Notifications panel, directly pin photos to a document (Cortana only provides links of photos to pin to documents) and even send messages directly with voice commands. Of course, these were all part of an onstage demo, and the real-life implementation remains to be seen. On paper, at least, Apple has given Siri a major boost over Cortana by introducing voice-powered functionality, something that Microsoft could have achieved before, but missed. macOS Sierra brings optimised storage, which deleted files that will never be used again, like Safari web cache, inactive downloads, old document copies and previously read emails, to free up space. It also brings a more optimised iCloud storage, which automatically backs up your old slides, sheets, movies and other files that have not been used, to the 150GB of free storage made available. It will also become easier for you to access iCloud files, with the more optimised drive ready for access on any Apple device. macOS Sierra brings picture-in-picture video to the desktops, so that you can keep working on your email or word document, while keeping one eye on the game or the music video. You also get tab arrangements across every macOS app, without any developer involvement required as the feature is deeply integrated within the OS. 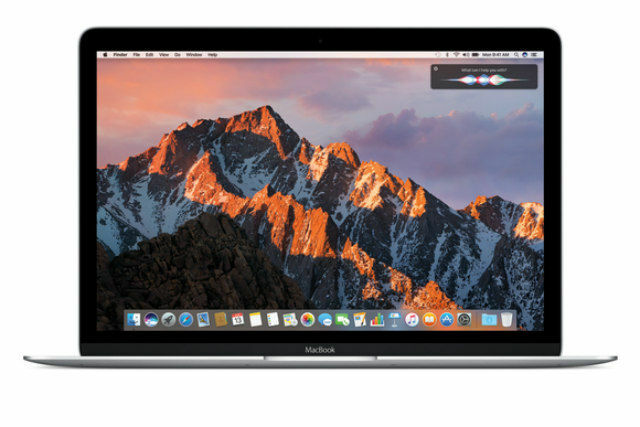 macOS also brings Apple Pay to the desktop operating system along with mobile verification with Apple Touch ID, but since it will not be making its way to India for now, there’s little consequence to it, at least for the day.